Drummer Bill Bruford announced his retirement from live performance in March 2009, and coincident with the release of his autobiography, Bill Bruford: The Autobiography (Jawbone Press, 2009), he has provided a treasure of remarkable composition and improvisation with these intriguing time-capsule tidbits. 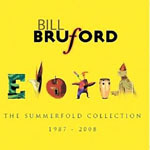 Another name for the collections, which chronicle the majority of Bruford's musical exploits from 1978 through 2008, could be "Seasons of Excellence." Bruford first found fame in the early 1970s with Yes, and soon afterwards with King Crimsonthe album Red (Virgin, 1974) is widely regarded as one of his masterpiecesand has remained one of the most exciting drummers to be heard. The Summerfold Collection: 1987-2008 and The Winterfold Collection: 1978-1986, together covering some 30 years of diverse distinction, provide ample evidence of this. 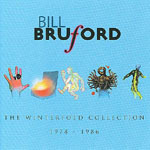 The two-disc Summerfold , running almost two and quarter hours, shows Bruford's growth from supporting cast member to breakthrough bandleader. 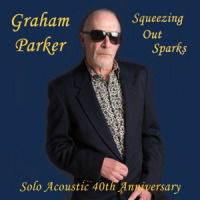 The first disc is more traditional, approaching smooth jazz fusion on songs like "Up North" or "It Needn't End In Tears" from Earthworks (Summerfold, 1987). The second disc explores more experimental areas in songs like "White Knuckle Wedding" from Random Acts of Happiness (Summerfold, 2003). Among many live cuts, Summerfold includes "Baye Kene N'Diaye" with the World Drummers Ensemble, and a blazing version of "Footloose and Fancy Free" recorded at New York's Iridium club by the nine-piece Earthworks Underground Orchestra. Earlier works don't all hold up as well. 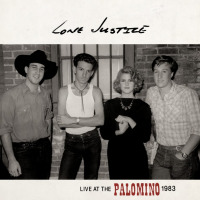 Jeff Berlin lays down sterling bass lines over most of the single Winterfold disc, but his vocals sound somewhat forced. Annette Peacock's voice provides far more soothing enhancement, but she's still another rough fit. Among further mixed results on Winterfold are "Symmetry" and "Blue Brains," from Bruford's first engagement with pianist Patrick Moraz. A pair of much stronger selections, "Everything You've Heard is True" and "Flags," indicate they were at leat on the right track. Beside Bruford, guitarist Allan Holdsworth makes the strongest singular impression, and shows that even back then he was a force to be reckoned with. A piece like "Revel Without a Pause" from Sound of Surprise (Discipline, 1998) wouldn't be out of place on a mid-1950s album by trumpeter Miles Davis' quintet featuring saxophonist John Coltrane. Proving that Bruford is in the same league as earlier drum masters like Jimmy Cobb or Philly Joe Jones. It's on Summerfold's more progressive grooves, like "The 16 Kingdoms of the 5 Barbarians," that Bruford flicks the sticks in a fashion that indicates he is among the most proficient jazz drummers ever to notch up a kit. 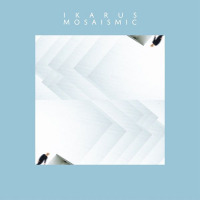 That tune, and two others from piano collaborations with Michiel Borstlap, prove Bruford belongs in the poly-rhythmic drumming dictionary as a major stylist. If a prehistoric Bruford had been handed a pair of branches to rub together, he'd probably not only have discovered fire, but snares, cymbals, and a cool Ice Age's worth of beats to boot. Bruford seems too secure in his music to ever indulge in such posturing, but few bandleading drummers who are also primary composers have made such stirring statements along so broad a range. As All About Jazz's John Kelman observes in his liner notes, when looking at a career as distinguished and enduring as Bruford's, the overall picture has a lot to do with perspectives on individual parts. 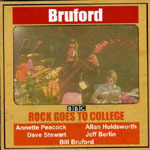 Overall, Bruford's catalogue stands the test of time better than many more celebrated "classic" rock icons. 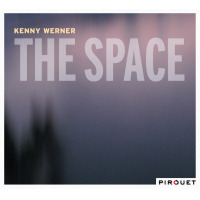 These particular discs make up a wonderful anthology that will enhance any jazz library. Everything from production to packaging is first rate, while the wide range of creativity and expertise proves that Bruford merits favorable consideration amongst the foremost practitioners of his time. 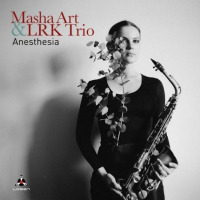 Together, the collections show an often amazing artist's journey through the prog rock, abstract jazz and fusion landscapes. 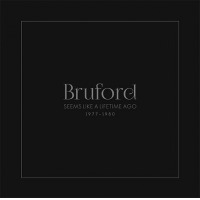 Whether or not Bruford's remarkable recording career has indeed been completed, he's created an impressive legacy on many fantastic fronts. Tracks: CD1: Up North; My Heart Declares a Holiday; Pilgrim's Way; Stromboli Kicks; Temple of the Winds; Candles Still Flicker in Romania's Dark; Nerve; It Needn't End in Tears; If Summer Had It's Ghosts; Thistledown; Dewey-Eyed, Then Dancing; No Truce with the Furies. 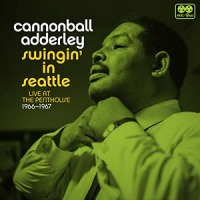 CD2: Revel Without a Pause; Sound of Surprise; The 16 Kingdoms of the 5 Barbarians; Kinship; From the Source We Tumble Headlong; Baye Kene N'Diaye; Footloose and Fancy Free; Come to Dust; White Knuckle Wedding; Beelzebub. 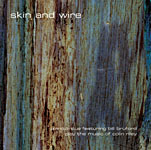 Personnel: Bill Bruford: drums, electronic drums, chordal drums, percussion; Iain Ballamy: saxophone and loops (CD1#1-8); Django Bates: keyboards (CD1#1-8), Eb horn (CD1#1, CD1#4, CD1#6); Mick Hutton: bass (CD1#1-2, CD1#8);Dave Stewart: drum programming (CD1#1); Tim Harries: bass (CD1#3-7); Ralph Towner: guitar and piano (CD1#9-10);Eddie Gomez: bass (CD1#9-10); Steve Hamilton: piano (CD1#11-12, CD2#1-2, CD2#8-10); Mark Hodgson: bass (CD1#11-12, CD2#1-2, CD2#8-10); Patrick Clahar: saxophone (CD2#1-2, CD2#8); Michiel Borstlap: piano and keyboards (CD2#3-5); Doudou N'Diaye Rose: sabar (CD2#6); Chad Wackerman: drums (CD2#6); Luis Conte: congas (CD2#6); Jon Owens: trumpet (CD2#7); Alex Sipiagin: trumpet (CD2#7); Robin Eubanks: trombone (CD2#7); Steve Wilson: trombone (CD2#7); Tim Garland: saxophone (CD2#7, CD2#9-10); Chris Karlic: saxophone (CD2#7);Henry Hey: piano (CD#7); Mike Pope: bass (CD2#7). 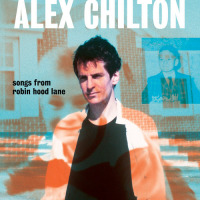 Tracks: Back to the Beginning; Seems Like a Lifetime Ago Part 1; Seems Life a Lifetime Ago Part 2; Hell's Bells; Travels With Myself, and Someone Else; Age of Information; The Sliding Floor; Symmetry; Blue Brains; Flags; Everything You've Heard is True; Sample and Hold; Adios a la Pasada. 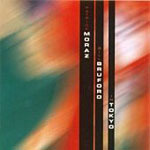 Personnel: Bill Bruford: drums; Annette Peacock: voice (1, 2); Allan Holdsworth: guitar (1-5, 13); Jeff Berlin: bass (1-7, 12, 13), vocals (6, 7); Dave Stewart: keyboards (1-7, 12, 13); The Unknown John Clark: guitar (6, 7); Patrick Moraz: piano (8-11).